1. By this appeal the appellant, the wife of Patrick Finucane (deceased) seeks to set aside the order made by the Court of Appeal below whereby it dismissed her application for judicial review and refused to order the establishment of a public inquiry into the murder of her husband, Patrick Finucane. She asks this court to order the holding of such an inquiry. 2. The background to these proceedings is complex and sinister. This case is one of the most notorious of the Northern Ireland “Troubles”. It is notorious for good reason. The available evidence suggests that agents of the state responsible for law enforcement devised and operated a policy of extra-judicial execution, the essential feature of which was that loyalist terrorist organisations were infiltrated, resourced and manipulated in order to murder individuals identified by state agents as suitable for assassination: in other words, a policy of “murder by proxy” whereby the state itself engaged in terrorism through the agency of loyalist paramilitaries. It is hard to imagine a more serious allegation against a liberal democracy founded on the rule of law. 3. 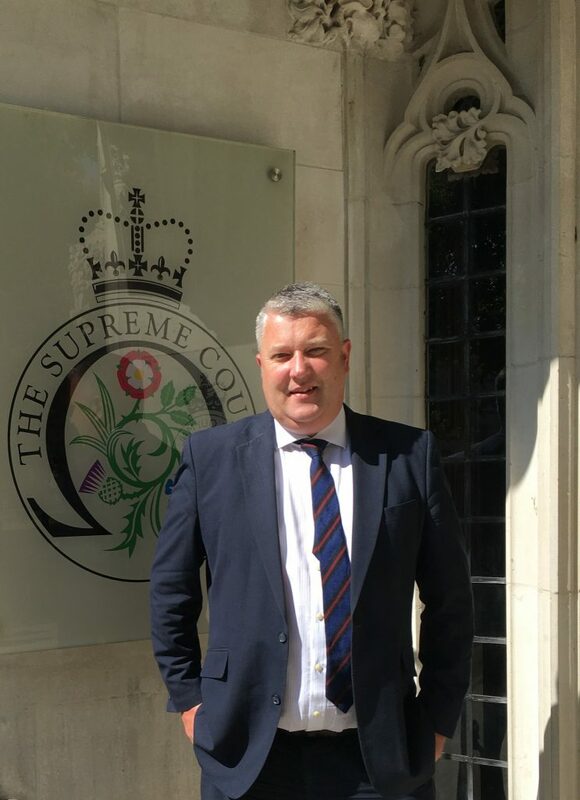 Patrick Finucane, a solicitor and officer of the court who enjoyed a reputation as a committed human rights lawyer prepared to challenge perceived abuses of state power, was a victim of this policy. He was identified for assassination by state agents and duly shot dead in front of his family- the appellant and their three young children- in a particularly brutal fashion on 12 February 1989. The Ulster Freedom Fighters (UFF), a cover name for the Ulster Defence Association (UDA), claimed responsibility for the murder . 4. All investigations into Patrick Finucane’s death have clearly established that he was no more than a solicitor intent on doing his job and doing it very well, albeit at the expense of attracting the adverse attention of elements of the state. He was not a member of the IRA or involved in providing assistance to that organisation and there is no evidence to suggest he was. 5. Prior to his death Mr Finucane had, via his clients in police detention, been the subject of death threats from police officers. As a result, his family suspected collusion between the security forces and loyalist paramilitaries in his murder from the outset. 6. Information that has emerged over the years since the murder has shown that the family were correct in that suspicion. 7. Information emerged on a piecemeal basis, largely through the work of investigative journalists, in particular John Ware, and Non-Governmental Organisations, in particular British Irish Rights Watch (now Rights Watch UK). Official investigations into the murder were deliberately and consistently obstructed and frustrated by agents of the state . 8. The Army, the Police and the Security Service have been implicated to varying degrees in the events surrounding Patrick Finucane’s death and in the operation of the policy that led to it. Questions arise as to the level within these organisations at which the policy was authorised. Questions also arise as to the extent to which the policy was known and authorised by the government. 10. As a result of his high profile as a human rights lawyer who acted in judicial reviews against the police and government, in complaints made against the government in the European Court of Human Rights and in criminal cases, often on behalf of Republican suspects, the case of Patrick Finucane has become the iconic case in point. Eventually, after sustained domestic and international pressure, and following an independent judicial examination of the papers, the government committed itself formally, solemnly and unequivocally to a public inquiry into his murder, a commitment repeated on a number of occasions in unqualified terms. 11. That inquiry was delayed however because, it was claimed, the national security issues in the case were so sensitive that a new Act of Parliament was required before an inquiry could be held under legal conditions that accommodated those issues. The Inquiries Act 2005, which now governs all statutory public inquiries, was therefore introduced directly and specifically to deal with this case. • The International Bar Association. 14. It is against this broad background that this appeal falls to be considered. Notwithstanding the gravity of the matters in issue and the binding nature of the commitments to hold a public inquiry into them, the government decided to renege on the commitment made to hold an inquiry. That is a decision which, for the reasons that follow, can be fairly characterised as not only unlawful but “as bad as it gets” in public law terms. 15. An overview chronology of events is appended to the Statement of Facts and Issues. A chronology of the impugned decision making process is at Appendix 1 to this printed case and a list of personalities appears at Appendix 2.
f) what, if any, relief should be granted by this Court. 18. In his public statement at the time of the publication of the report of Lord Saville’s Bloody Sunday Inquiry the Prime Minister sought to “reassure” the House of Commons that “there will be no more open-ended and costly inquiries into the past”. (Appendix Vol 7, p2339, Col 741). That position had also been clearly articulated by the SOSNI, both in opposition and in government (Appendix Vol 1, p211, para 32). 19. The appellant submits that the decision not to hold a public inquiry into the murder of Patrick Finucane was predetermined by the government’s adherence to this position. The decision-making process that the SOSNI purported to adopt was no more than a sham process designed to give the appearance that the SOSNI was making a decision with an open mind in accordance with proper criteria and following meaningful consultation with the appellant. e) For those reasons the decision not to hold a public inquiry but instead to hold a review was not the product of a genuine process and the application of the stated criteria. 21. A detailed chronology of the impugned decision-making process is attached to this submission at Appendix 1. 22. It is clear that while the decision on whether to establish a public inquiry was “primarily a matter for the Secretary of State for Northern Ireland” (Appendix Vol 1, p199, para 5) the Ministerial Code requires that the Prime Minister must be consulted about any proposal to set up a “major” public inquiry under the Inquiries Act 2005 (Appendix Vol 4, p984, para 4.10). 23. The papers show that on entering government the SOSNI was briefed about the Finucane case and, at a meeting with officials (of which no record has been provided), decided to follow advice on a process to be adopted to reach a decision on the case (Appendix Vol 1, p211, paras 31-33; Appendix Vol 4, p1104). 24. The SOSNI wrote to the Prime Minister on 3 November 2010 before he met with the Finucane family on 8 November 2010 outlining the process he intended to follow (Appendix Vol 4, pp985-989). 26. In that note the Finucane case is recognised as “the most difficult of a number of difficult legacy issues about the actions of state forces” (Appendix Vol 4, p990, para 3). 29. It is noteworthy that “handling” was being considered only for those who had previously expressed support for the establishment of a public inquiry into Mr Finucane’s murder. It was never even contemplated that the outcome of the decision-making “process” would be a decision to hold an inquiry or therefore a need to think about “handling” those who would be seen as likely to oppose that outcome. 32. The affidavit evidence submitted in relation to the Prime Minister’s role in this case is from a Private Secretary, Simon King, who was not at the meeting on 5 November 2010 (Appendix Vol 1, p189, para 6). • The potential cost of an inquiry and the current pressures on the UK Government’s finances. 35. There then followed a number of meetings, both within the NIO, and between NIO officials and representatives of the Finucane family. Those meetings are outlined at paragraphs 40-49 of Mark Larmour’s affidavit (Appendix Vol 1, pp214-291). e) A decision not to hold an inquiry. “refusing to hold an inquiry, but apologising for the actions of the security forces. There is more than enough in the Stevens and Cory reports to support an admission that this was a terrible case which reflects very badly on the actions of the security forces at the time…” (Appendix Vol 4, p1008). 41. This was a repetition of the views expressed by the PM some 6 months earlier on 5 November 2010 at the very start of the “process”. It was not the product of comprehensive consideration, as laid out in advance by the SOSNI, but rather the imposition of the Prime Minister’s view (without reference to the stated criteria) that there should be no more public inquiries. 42. The papers show that the SOSNI’s ostensible application of the process and stated criteria had led to a point where two options existed, a limited statutory inquiry or no inquiry at all. From the moment of the Prime Minister’s intervention those options were effectively abandoned in favour of the “apology/review” option. 43. The outline of what was to become the de Silva review is clearly set out in a briefing note provided to both the Secretary of State and Simon King on 17 May 2011 (Appendix Vol 4, p1015 & p1277). 44. In that note (para 3) the proposed review is described as “a ‘Cory II’ review which would be “asked to provide a definitive judgment on the case, rather than the provisional findings put forward by Cory”, even though the reviewer would be confined to a review of the papers available to Judge Cory and therefore in no better position to provide a definitive judgment. 45. The note recognises that such a review would not be Article 2 compliant (Appendix Vol 4, p1016, para 5). 46. A document attached to that note acknowledges that even if public guarantees in relation to access to documents and employees were given by HMG they would “clearly not extend to retired staff or individuals who have never been employed by the state.” (p1019). 48. A later briefing paper to the SOSNI (16 June 2011) informed him that “As the lead Cabinet Minister on this issue, you are likely to be expected to lead the collective discussion of the issue and indicate your preferred option to Cabinet colleagues.” (Appendix Volume 4, p1290, at p1293 para 11). 49. A meeting of cabinet ministers was convened to discuss the proposed review on 11 July 2011. 50. Despite his previous conclusion that only two options existed, the SOSNI had, by that time, apparently “made known to officials that his preferred option was not to hold a public inquiry, but to carry out an independent review of the circumstances of the murder…” (Appendix Vol 1, p221). There is no independent record of that decision or of the reasons for it, including the reasons for the SOSNI’s change of position. 51. A subsequent briefing note for SOSNI dated 8 July 2011 (Appendix Vol 4, p1298) attaches a draft speaking note which “reflects your preferred option of the review model” but does not record how the SOSNI reached that decision or weighed the various public interest factors in reaching it. 52. While the briefing material prepared for the Prime Minister in advance of the 11 July meeting mentions the public interest factors outlined by the SOSNI at the commencement of the process (Appendix Vol 4, p1041) it does not contain a detailed, or any, consideration of those criteria. “Does the PM seriously think that is right to renege on the previous Govt’s clear commitment to hold a full judicial inquiry? 55. Simon King’s affidavit does not dispute that these views were an accurate reflection of the Prime Minister’s position or his actions (Appendix Vol 1, p193, para 17). 57. It is not surprising then that at the ministerial meeting “The collective view was that it was not in the public interest to establish a statutory inquiry” (Appendix Vol 1, p193, para 19). This collective view, driven as it was by the Prime Minister acting in accordance with his previously stated intention of having “no more open-ended and costly inquiries into the past”, became the decision that the SOSNI presented as his own made in accordance with the process he had set out in his Ministerial Statement to the House of Commons. “…My right hon. friend the Prime Minister invited the family to Downing street yesterday so that he could apologise to them in person and on behalf of the Government for state collusion in the murder of Patrick Finucane. “What we have set out today is a swift route to the truth.” (Appendix Vol 1, p 247, Col. 349). (ii) that, in any event, that process was not followed. 61. The Court of Appeal considered these issues at paragraphs - of Gillen LJ’s judgment. In summary, the Court found that “there is neither the necessary strength nor quality in any of the evidence produced to found an allegation that this outcome was pre-determined or that the process followed amounted to a sham.” (Appendix Vol 1, pp37-40). 62. While this conclusion is not accepted by the appellant for the reasons set out above, it is for this reason that the appellant has proposed an additional issue for the Court’s consideration. That issue is not agreed by the respondent. It relates to the evidence before the Court. The Court is invited to revisit the convention whereby evidence in judicial review proceedings (or in particular types of judicial review proceedings) is provided by civil servants on behalf of or instead of the Minister who took the impugned decision. 63. The courts below did not have affidavit evidence from the Minister/s involved in making this decision, in particular the SOSNI and the Prime Minister. The affidavit evidence in this case comes from officials, who often did not attend meetings that they purport to give evidence about. As a result, and because of the decision of the NICA in Re Williamson’s Application  NICA 52 (applications to cross-examine non-deponents in judicial review proceedings can only be made in exceptional circumstances which did not exist in this case), no application could be made to cross-examine the SOSNI or PM to ascertain the motive/s for the decision and whether it was made as a result of predetermination. The appellant and the courts were therefore bound to consider the matter on the basis of the available documentation. An application for discovery was required to ensure that all relevant material was disclosed ( NIQB 45). 64. It is submitted that the practice which has arisen by which it has been accepted that government officials can act as deponents in proceedings challenging Ministerial decisions requires review or amendment in cases such as this. 65. The practice has been the subject of some judicial comment (see, for example, Fordham’s Judicial Review Handbook (6th ed.) at 17.1.8). The case law cited therein appears to indicate that the practice has arisen due to “Departmental Realities”. While it can readily be accepted that there are many decisions in which Ministerial evidence will not be required, it is submitted that decisions such as the present which raise issues of the utmost gravity and in which the mind of the Minister in taking the decision requires exposition, is an exceptional case. 67. In a case such as this, these concerns are particularly apposite. The first issue is essentially an allegation of bad faith. It arises in a case with a long and sordid history of the state acting in bad faith and acting to frustrate the uncovering of the truth. It is not surprising, and indeed understandable, that the Finucane family and sections of the public are sceptical about any state action in this case. A full and comprehensive explanation is required for the decision taken by the Minister who took it. In the absence of such an explanation made on affidavit by the Minister, cross-examination can effectively be avoided by him/her and the courts and applicants are inevitably hampered in the presentation of their cases. 68. For this reason it is submitted that the Court should review the current practice. 69. It is submitted that the appellant had a legitimate expectation that a public inquiry would be held into the murder of her husband, and that expectation should be recognised and enforced by this court. 70. 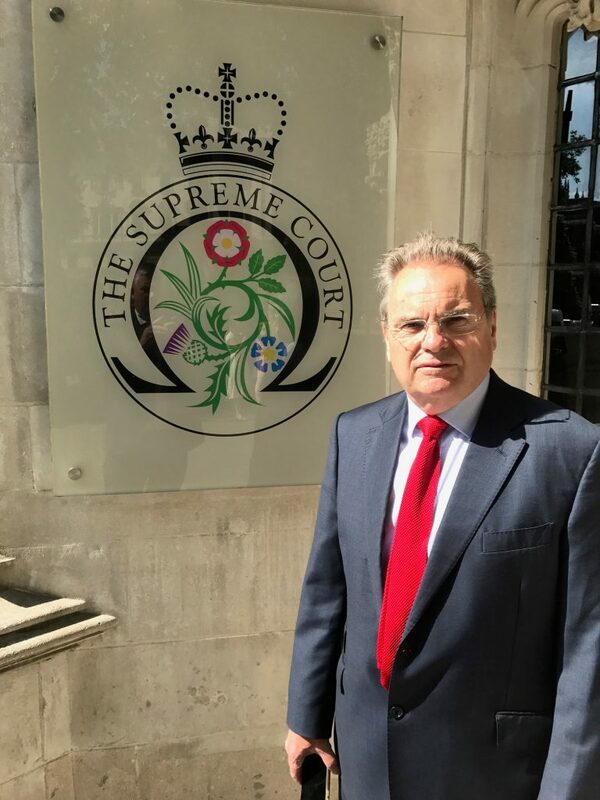 It was agreed between the parties, and accepted by Mr Justice Stephens in the High Court and by the Court of Appeal, that there are two stages involved in the enforcement of a substantive legitimate expectation by the courts. The first, a matter of fact, is the establishment of the existence of a “clear and unambiguous representation devoid of relevant qualifications”. The burden of so establishing rests on the party seeking enforcement. 71. If such a representation is found to exist, the court must then consider whether there was sufficient “overriding interest” to justify a departure from the promise. The onus for showing that such an overriding interest exists lies with the party disputing enforceability. 75. It is submitted that Mr Justice Stephens and the Court of Appeal were correct to conclude that a promise had been made which was “clear and unambiguous” and “devoid of relevant qualification”. It is difficult to imagine what would constitute a clear and unambiguous representation devoid of relevant qualification if the promise in this case did not. The only qualification was that Judge Cory should recommend the holding of a public inquiry, which he subsequently did. 76. As noted above, the onus of establishing that there is an overriding public interest justifying the decision to renege on the clear promise made is on the respondent. Whether such an overriding public interest does exist is a matter for the Court (R v North and East Devon Health Authority, ex parte Coughlan  QB 213) para 76). 77. The appellant submits that the respondent has not identified the, or any, overriding public interest justifying the decision to renege on its promise. i. The conclusions of reviews and investigations into the case and the extent to which the case has caused, and is capable of causing, public concern. ii. The experience of the other inquiries established after the Weston Park commitments. iii. The delay that has occurred since the 2004 announcement and the potential length of any inquiry. iv. Political developments that have taken place in Northern Ireland since 2004.
v. The potential cost of any inquiry and the current pressures on the UK Government’s finances. 79. The judge therefore relied on the factors identified at the outset of the SOSNI’s “process” when, on the respondent’s case, he had an open mind about the decision and on the discussion of those factors in various briefing papers. 80. The Court of Appeal considered that “…public interest considerations were identified again and again in the course of exchanges with the SOSNI and the Prime Minister deriving from the various briefing papers and policy documents prepared by officials for them. Contained therein were not only frequent references to the public interest issues but a considered analysis of the pros and cons of permitting them to outweigh the demands of the respondents for a public inquiry. It is idle to speculate that these factors were unconnected to the final decision” (Appendix Vol 1, p29, ; see also -). 81. It is submitted that the factors identified at the outset of the SOSNI’s process do not assist with the identification of the overriding public interest which is said to have justified the decision ultimately taken. 82. Similarly, the fact that those factors are discussed at length in the briefing papers referred to by the judge does not assist. It is clear that some of those factors pointed in favour of holding a public inquiry e.g. the factor that required consideration of the commitment made by the previous Government in 2004 (see Appendix Vol 4, p1188). 83. The courts below have fallen into error by conflating the identification and discussion of those factors by officials with their adoption by SOSNI as reasons for the decision taken. The appellant submits that the discussion of issues in briefing papers and their inclusion therein simply cannot be seen as evidence of the reasoning for the final decision. They are evidence only of what the civil servant author considered to be the issues relevant to the decision and/or how it should be made. They or their content cannot be equated with or substituted for a properly reasoned decision. In this case, it is submitted that the extensive discussion of the issues in briefing papers and at meetings during the decision-making process has been erroneously conflated with the reasoning for the final decision. In fact, no or inadequate reasons have been given for the decision. It should be noted, in particular, that neither the Prime Minister nor the SoSNI have sworn affidavits adopting the reasoning set out by officials in the briefing papers or confirming how exactly they (as opposed to their officials) weighed the competing factors. d) Consequently, the onus to justify the decision to renege on the clear promise made has not been discharged (see Paponette & others v Attorney General of Trinidad and Tobago  1 AC 1 at ) and the courts below erred in finding that it had been. 85. For these reasons it is submitted that the decision to renege on the promise to hold a public inquiry has not been justified. Does the decision lie within the macro political field? 86. In the absence of a justification for the decision it is not strictly necessary for the court to consider this question because, no matter how intense the review of the decision, the outcome would remain the same. However, in light of the decisions reached below the appellant considers it appropriate to address the issue in the alternative to the submissions made above. 87. First, the appellant submits that the subject matter of this case, concerning state sponsored assassination of one of its citizens, is a matter for the most anxious scrutiny (see e.g. R v Secretary of State for the Home Department, ex parte Brind  1 AC 696, 757B-C). The concentration by the courts below on the “political” aspects of the decision (which is not accepted, see below) has effectively invoked the doctrine of separation of powers to limit the courts’ ability to scrutinise the decision and the process by which it was taken, on common law grounds. 90. The Begbie case concerned a pre-election pledge made by a Secretary of State when in opposition. Around 1500 people were likely to be affected and enforcement of the pledge would have run contrary to primary legislation. There can be no doubt the decision in the Begbie case was correct and was one which lay in the “macro-political” field, i.e. concerned issues of government policy. 91. The promise in this case was one made to the appellant and her family. That much is clear from the personal correspondence sent to her by successive Secretaries of State and Prime Ministers and her meetings with various holders of those offices. The circumstances surrounding the murder of the appellant’s husband and the subsequent state cover-up were such an affront to the rule of law and standards of modern democratic government that it is not surprising the case gained political attention and the appellant gained support from those involved in political life. Indeed, all right-thinking people will shudder to think what might have lain uncovered without the intervention of politicians and NGOs in Northern Ireland and abroad. 92. However, the fact that the case attained a certain political notoriety does not convert the decision to hold an inquiry into a decision made in the “macro-political field”. It is right that there are many people who were and are “interested” in the decision to hold a public inquiry but it is only the appellant and her family who have “an interest” in that decision. A decision to hold a public inquiry in this case would have implications only for this case. 93. Thirdly, in any event, it is submitted that the reason given for the decision not to hold an inquiry and instead to hold a review is clearly not something that lies within the macro-political field or outside the court’s expertise. On the contrary it is a reason that the court is perfectly placed to assess. 94. The reason offered for the decision to hold a review and not a public inquiry was that it was the quickest and most effective way of getting to the truth. This can be seen in the SOSNI’s statement to the House of Commons and his answers to the questions that followed (see above) and also in the Prime Minister’s response to a question in the House (see above and, for example, Appendix Vol 1 p249). 95. It is entirely within the competence of this court to consider whether a paper-based review of documents held in private, without powers to compel the attendance of witnesses or the production of documents, and without the input of the appellant and her family was the most effective way of getting to the truth of this matter. The appellant submits it was not. The history of obstruction of investigations into this murder militate against it for a start. In addition, Sir Desmond’s task was (save for the conclusions that should be drawn) no different to that given to Judge Cory. The Judge was clear that he could not reach conclusions on the basis of the papers alone and that a public inquiry which allowed for the testing of evidence was required. Sir Desmond’s review mechanism did not allow for that. 96. For these reasons it is submitted that the court’s ability to review this decision is not limited as was found below. On the contrary the court has a duty and an obligation to adopt an anxious scrutiny approach. Was the frustration of the expectation so unfair as to be a misuse of the respondent’s powers? 98. The SOSNI’s decision to renege on the government’s promise to hold a public inquiry if Judge Cory so recommended was “conspicuously unfair” for all of the reasons outlined above and below and “hence an abuse of power”. In this case the balance must be struck in favour of the appellant. k) The fact that public access to the process of investigation has been minimal. “As everybody who has anything to do with the law well knows, the path of the law is strewn with examples of open and shut cases which, somehow, were not; of unanswerable charges which, in the event, were completely answered; of inexplicable conduct which was fully explained; of fixed and unalterable determinations that, by discussion, suffered a change.”’ (at ). 102. For these reasons, and in light of the history of this case, the only remedy that will suffice is an order of mandamus compelling the holding of a public inquiry into the murder of Patrick Finucane. 104. The applicant submits that the failure to hold a public inquiry into the murder of Patrick Finucane was incompatible with her Article 2 ECHR rights and therefore a breach of section 6 of the Human Rights Act 1998. 105. She submits that Article 2 (via section 6 of the Human Rights Act 1998) requires the holding of a public inquiry into her husband’s murder. 106. It is submitted that Mr Justice Stephens was correct to conclude that Article 2 ECHR applies in this case (see Appendix Vol 1, p82 - and p147 ). 107. The Court of Appeal adopted a different approach, following the scheme of the judgments delivered in the Supreme Court in Keyu  AC 1355 i.e. deciding first what approach would be taken in Strasbourg, without going on to decide if the Human Rights Act applied in this case (Appendix Vol 1, pp44-60, paras -). 108. It is submitted that this was the wrong approach to adopt as this is a case which falls squarely within the parameters of the Supreme Court decision in McCaughey  1 AC 725. 159 Against this background, the Court concludes that the procedural obligation to carry out an effective investigation under art.2 has evolved into a separate and autonomous duty. Although it is triggered by the acts concerning the substantive aspects of art.2 it can give rise to a finding of a separate and independent “interference” within the meaning of the Blečić judgment. 74 In this sense it can be considered to be a detachable obligation arising out of art.2 capable of binding the state even when the death took place before the critical date. 161 However, having regard to the principle of legal certainty, the Court’s temporal jurisdiction as regards compliance with the procedural obligation of art.2 in respect of deaths that occur before the critical date is not open-ended. 162 First, it is clear that, where the death occurred before the critical date, only procedural acts and/or omissions occurring after that date can fall within the Court’s temporal jurisdiction. 163 Secondly, there must exist a genuine connection between the death and the entry into force of the Convention in respect of the respondent State for the procedural obligations imposed by art.2 to come into effect. Thus a significant proportion of the procedural steps required by this provision—which include not only an effective investigation into the death of the person concerned but also the institution of appropriate proceedings for the purpose of determining the cause of the death and holding those responsible to account 76 —will have been or ought to have been carried out after the critical date. 115. In this case a significant portion of the procedural steps required to comply with Article 2 took place after the coming into force of the HRA in October 2000. As such, they had to comply with Article 2 ECHR for the reasons outlined by the majority in McCaughey. 116. The outcome of McCaughey has been applied, without demur from state agencies, to the running of all inquests in Northern Ireland concerning deaths caused by or involving state agents, even where the death occurred prior to October 2000. In particular, it has been applied to second inquests directed by the Attorney General for Northern Ireland after October 2000 in relation to deaths that took place prior to that date, often many years prior to that date. 117. It is submitted, for the same reasons, the actions taken in this case after the coming into force of the HRA must satisfy the requirements of Article 2. There is no reason to confine the McCaughey principle either to inquests or to inquests relating to pre-October 2000 deaths which were still to be held at that date. 118. Indeed at  of her judgment in McCaughey (see above) Lady Hale did not so confine the principle, referring to the broader term “inquiry” rather than inquest. Moreover, in Keyu Lord Neuberger commented, in parenthesis, that he could “see no reason why the same reasoning [the McCaughey principle] would not apply where the decision was to hold an inquiry into a death which had occurred before 2 October 2000” (emphasis added). (ii) the Court of Appeal’s conclusions on whether a valid Article 2 claim arises were correct (Appendix Vol 1, pp46-50, -). 120. For these reasons it is submitted that action taken in this case following the coming into force of the European Convention on Human Rights had to comply with Article 2 ECHR. Has there been compliance with the requirements of Article 2? 121. Of course, if the requirements of Article 2 ECHR have already been met then that provision cannot require any further action on this case. Contrary to the findings of Mr Justice Stephens and the Court of Appeal, the appellant submits that Article 2 has not been satisfied. 122. The appellant submits that this is one of those rare cases where compliance with the Article 2 ECHR obligation to investigate a death (and thus with section 6 of the Human Rights Act 1998) requires the holding of a public inquiry. No lesser mechanism will suffice. That requirement stems from the nature of the case, the high level of concern it has generated, the information now available and the manner in which investigation has been obstructed by the state over the 29 years since Patrick Finucane’s murder. It also stems from the use of other international instruments to interpret the requirements of Article 2 ECHR. 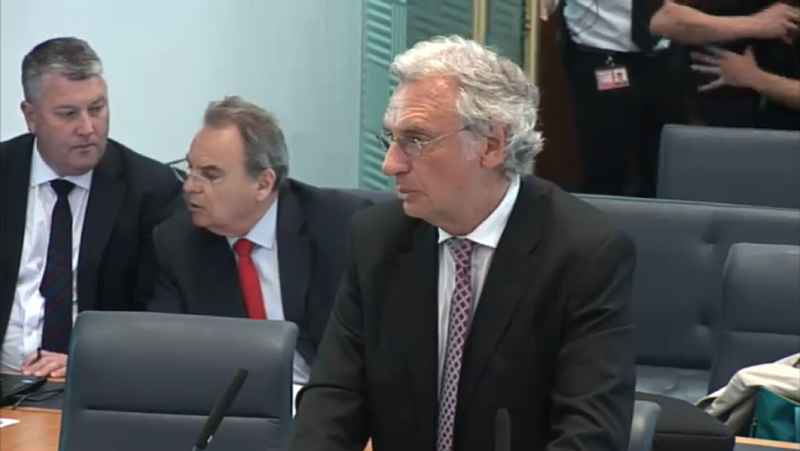 c) concluding that there has been effective investigation of Patrick Finucane’s murder. 124. In its judgment in the case of Finucane v UK at - the ECtHR set out the UN Principles for the Effective Prevention and Investigation of Extra-Legal, Arbitrary and Summary Executions (1989) and the Model Protocol for the Investigation of extra-legal, summary and arbitrary Executions (the “Minnesota Protocol” 1991). The appellant submits that these principles have been breached in significant respects in the investigation of the murder of Patrick Finucane. 125. The Minnesota Protocol in particular recognises that there may exist certain cases in which the only form of investigation that meets international standards is a commission of inquiry with powers of compulsion. Both documents emphasise the need for the involvement of the next of kin of the deceased. 127. The appellant and her family have not been involved in any of the investigations into her husband’s murder in any way other than by the provision of evidence as witnesses. They chose not to meet Sir Desmond De Silva for a number of reasons including the fact that they did not agree that his review could get at the truth and because he refused to answer a number of questions posed on the appellant’s behalf shortly after his appointment. In any event it is clear that the appellant could not have been involved in his review in any meaningful way. 128. More recently there have been specific comments made on the Patrick Finucane case by the UN Human Rights Committee which interprets the requirements of the International Covenant on Civil and Political Rights [August 2015] and the UN Committee Against Torture which interprets the requirements of the UN Convention Against Torture . Those comments were made in full knowledge of the outcome of the De Silva review and both bodies expressed concern about the failure to establish a public inquiry. 85. The Court, in defining the meaning of terms and notions in the text of the Convention, can and must take into account elements of international law other than the Convention, the interpretation of such elements by competent organs, and the practice of European States reflecting their common values. The consensus emerging from specialised international instruments and from the practice of Contracting States may constitute a relevant consideration for the Court when it interprets the provisions of the Convention in specific cases. 86. In this context, it is not necessary for the respondent State to have ratified the entire collection of instruments that are applicable in respect of the precise subject matter of the case concerned. It will be sufficient for the Court that the relevant international instruments denote a continuous evolution in the norms and principles applied in international law or in the domestic law of the majority of member States of the Council of Europe and show, in a precise area, that there is common ground in modern societies (see, mutatis mutandis, Marckx, cited above, § 41). 130. The Court of Appeal effectively disregarded the international human rights standards and comments from Human Rights Treaty bodies at - of its judgment (Appendix Vol 1, p52). It erred in failing to appreciate the significance of these principles for the interpretation of Article 2 ECHR in the circumstances of this case. 9. There shall be thorough, prompt and impartial investigation of all suspected cases of extra-legal, arbitrary and summary executions, including eases where complaints by relatives or other reliable reports suggest unnatural death in the above circumstances. Governments shall maintain investigative offices and procedures to undertake such inquiries. The purpose of the investigation shall be to determine the cause, manner and time of death, the person responsible, and any pattern or practice which may have brought about that death. It shall include an adequate autopsy, collection and analysis of all physical and documentary evidence and statements from witnesses. The investigation shall distinguish between natural death, accidental death, suicide and homicide. 10. The investigative authority shall have the power to obtain all the information necessary to the inquiry. Those persons conducting the investigation shall have at their disposal all the necessary budgetary and technical resources for effective investigation. They shall also have the authority to oblige officials allegedly involved in any such executions to appear and testify. The same shall apply to any witness. To this end, they shall be entitled to issue summonses to witnesses, including the officials allegedly involved and to demand the production of evidence. 11. In cases in which the established investigative procedures are inadequate because of lack of expertise or impartiality, because of the importance of the matter or because of the apparent existence of a pattern of abuse, and in cases where there are complaints from the family of the victim about these inadequacies or other substantial reasons, Governments shall pursue investigations through an independent commission of inquiry or similar procedure. Members of such a commission shall be chosen for their recognized impartiality, competence and independence as individuals. In particular, they shall be independent of any institution, agency or person that may be the subject of the inquiry. The commission shall have the authority to obtain all information necessary to the inquiry and shall conduct the inquiry as provided for under these Principles. 16. Families of the deceased and their legal representatives shall be informed of, and have access to any hearing as well as to all information relevant to the investigation, and shall be entitled to present other evidence. The family of the deceased shall have the right to insist that a medical or other qualified representative be present at the autopsy. When the identity of a deceased person has been determined, a notification of death shall be posted, and the family or relatives of the deceased shall be informed immediately. The body of the deceased shall be returned to them upon completion of the investigation. 17. A written report shall be made within a reasonable period of time on the methods and findings of such investigations. The report shall be made public immediately and shall include the scope of the inquiry, procedures and methods used to evaluate evidence as well as conclusions and recommendations based on findings of fact and on applicable law. The report shall also describe in detail specific events that were found to have occurred and the evidence upon which such findings were based, and list the names of witnesses who testified, with the exception of those whose identities have been withheld for their own protection. The Government shall, within a reasonable period of time, either reply to the report of the investigation, or indicate the steps to be taken in response to it. In cases where government involvement is suspected, an objective and impartial investigation may not be possible unless a special commission of inquiry is established….This section sets out factors that give rise to a presumption of government complicity, partiality or insufficient expertise on the part of those conducting the investigation. Any one of these presumptions should trigger the creation of a special commission of inquiry. It then sets out procedures that can be used as a model for the creation and function of commissions of inquiry. The procedures were derived from the experience of major inquiries that have been mounted to investigate executions or similarly grievous cases of human rights violations. (v) Complaints from the family of the victim about the above inadequacies or other substantial reasons. It follows from general principles of criminal procedure that hearings should be conducted in public, unless in camera proceedings are necessary to protect the safety of a witness. In camera proceedings should be recorded and the closed, unpublished record kept in a known location. Occasionally, complete secrecy may be required to encourage testimony, and the commission will want to hear witnesses privately, informally and without recording testimony. Power to compel evidence. As emphasized in Principle 10 (see annex I), commissions of inquiry should have the power to compel testimony and production of documents: in this context, Principle 10 refers to “the authority to oblige officials” allegedly involved in extra-legal, arbitrary and summary executions. Practically, this authority may involve the power to impose fines or sentences if the Government or individuals refuse to comply. Use of witness statements. Commissions of inquiry should invite persons to testify or submit written statements as a first step in gathering evidence Written statements may become an important source of evidence if their author become afraid to testify, cannot travel to proceedings, or are otherwise unavailable. Use of evidence from other proceedings. Commissions of inquiry should review other proceedings that could provide relevant information. For example the commission should obtain the findings from an inquest into cause of death conducted by a coroner or medical examiner. Such inquests generally rely on postmortem or autopsy examinations. A commission of inquiry should review the inquest and the results of the autopsy presented to the inquest to determine if they were conducted thoroughly and impartially. If the inquest and autopsy were so conducted, the coroner’s findings are entitled to be given great weight. As mentioned in Principle 16, families of the deceased and their legal representatives shall be informed of, and have access to, any hearing and to all information relevant to the investigation, and shall be entitled to present evidence. This particular emphasis on the role of the family as a party to the proceedings implies the specially important role the family’s interests play in the conduct of the investigation. However, all other interested parties should also have the opportunity at being heard. As mentioned in Principle 10, the investigative body shall be entitled to issue summons to witnesses, including the officials allegedly involved and to demand the production of evidence. All these witnesses should be permitted legal counsel if they are likely to be harmed by the inquiry, for example, when their testimony could expose them to criminal charges or civil liability. Witnesses may not be compelled to testify against themselves regarding matter unrelated to the scope of inquiry. There should be an opportunity for the effective questioning of witnesses by the commission. Parties to the inquiry should be allowed to submit written questions to the commission. The commission shall assess all information and evidence it receives to determine its relevance, veracity, reliability and probity. The commission should evaluate oral testimony based upon the demeanour and overall credibility of the witness. Corroboration of evidence from several sources will increase the probative value of such evidence. The reliability of hearsay evidence from several sources will increase the probative value of such evidence. The reliability of hearsay evidence must be considered carefully before the commission should accept it as fact. Testimony not tested by cross-examination must also be viewed with caution. In camera testimony preserved in a closed record or not recorded at all is often not subjected to cross-examination and therefore may be given less weight. As stated in Principle 17, the commission should issue a public report within a reasonable period of time. It may be added that where the commission is not unanimous in its findings, the minority commissioner(s) should file a dissenting opinion. (i) Recommendations based upon the findings of the commission. 133. From these standards it is clear that the examination of the murder of Patrick Finucane has fallen short of what is required, even when all of the investigations and reviews are considered cumulatively. 136. In 2013 (also after the publication of the de Silva review report), the UN Committee Against Torture said that it “is concerned about the State party’s decision not to hold a public inquiry into the death of Patrick Finucane” and recommended that one should be established (Appendix Vol 7, p2278, para 23). 137. It is submitted that these principles and comments clearly show that international standards require the establishment of a public inquiry into the murder of Patrick Finucane. Article 2 takes its meaning and content from these standards and it is therefore submitted that this is one of the rare cases in which only a public inquiry will suffice. 138. Section 2(1) of the Human Rights Act 1998 clearly states that these decisions must be taken into account by the courts insofar as they are relevant to the proceedings. 140. As for the decision made by the Committee of Ministers, it is submitted that it is of similarly limited significance in the context of this case. First, it is not a legal ruling. The Committee of Ministers is the Council of Europe’s decision-making body. It is comprised of the Foreign Affairs Ministers of all of the member states, or their permanent diplomatic representatives in Strasbourg. It is political in nature. 141. Secondly, in any event, the Committee of Ministers closed its supervision of the case on the basis that all relevant information had been seen and examined. It did not know that there was “new and significant information” available to Sir Desmond De Silva that had not been seen by Lord Stevens or Judge Cory. Indeed there was material available to Judge Cory that had not been seen by Lord Stevens. That was in circumstances where Judge Cory had been given assurances similar to those given to Sir Desmond De Silva. 143. It still isn’t clear to the appellant what that “new and significant information” is. More than five years after Sir Desmond De Silva’s review the PSNI and PPSNI have yet to complete their examination of his report. 144. The appellant has submitted to the Committee of Ministers that the closure of its supervision was premature (Appendix Vol 7, p2461-2463). An application to reopen will be determined at the close of these proceedings. The Government of Ireland supports the appellant’s application to reopen the supervision. 145. Thirdly, the case was closed at a time when the Committee was aware a promise had been made to hold a public inquiry and discussions were taking place to allow that to happen. It strongly encouraged the continuation of those discussions. 147. In other words, the Committee of Ministers made its decision to close the case in circumstances where the UK Government was actively working on proposals for establishing a statutory public inquiry. The resolution also noted that no new information from Stevens 3 had been made public since the Court’s judgment ((Appendix Vol 3, p973 reinforcing the Court’s finding that Stevens 3 could not satisfy Article 2 due to its lack of publicity). The UK government had argued before the Committee that Stevens 3 was sufficient to comply with Article 2 in this case. 148. The resolution also noted that the DPP had issued a public statement for the failure to prosecute arising out of Stevens 3 and that there had been no judicial review of that decision. 150. It is clear from the ECtHR’s decision in Finucane v UK that the investigations which had taken place prior to that decision did not, singly or cumulatively, provide compliance with Article 2 ECHR. 67. The obligation to protect the right to life under Article 2 of the Convention, read in conjunction with the State’s general duty under Article 1 of the Convention to “secure to everyone within [its] jurisdiction the rights and freedoms defined in [the] Convention”, requires by implication that there should be some form of effective official investigation when individuals have been killed as a result of the use of force (see, mutatis mutandis, McCann and Others v. the United Kingdom, judgment of 27 September 1995, Series A no. 324, p. 49, § 161, and Kaya v. Turkey, judgment of 19 February 1998, Reports of Judgments and Decisions 1998-I, p. 324, § 86). The essential purpose of such investigation is to secure the effective implementation of the domestic laws which protect the right to life and, in those cases involving State agents or bodies, to ensure their accountability for deaths occurring under their responsibility. What form of investigation will achieve those purposes may vary in different circumstances. However, whatever mode is employed, the authorities must act of their own motion, once the matter has come to their attention. They cannot leave it to the initiative of the next-of-kin either to lodge a formal complaint or to take responsibility for the conduct of any investigative procedures (see, for example, mutatis mutandis, İlhan v. Turkey [GC], no. 22277/93, § 63, ECHR 2000-VII). 68. For an investigation into alleged unlawful killing by State agents to be effective, it may generally be regarded as necessary for the persons responsible for and carrying out the investigation to be independent from those implicated in the events (see, for example, Güleç v. Turkey, judgment of 27 July 1998, Reports 1998-IV, p. 1733, §§ 81-82; Oğur v. Turkey [GC], no. 21594/93, §§ 91-92, ECHR 1999-III). This means not only a lack of hierarchical or institutional connection but also a practical independence (see, for example, Ergi v. Turkey, judgment of 28 July 1998, Reports 1998-IV, pp. 1778-79, §§ 83-84, and the recent Northern Irish cases cited above, for example, McKerr, § 128, Hugh Jordan, § 120, and Kelly and Others, § 114). 69. The investigation must also be effective in the sense that it is capable of leading to a determination of whether the force used was or was not justified in the circumstances (see, for example, Kaya, cited above, p. 324, § 87) and to the identification and punishment of those responsible (see Oğur, cited above, § 88). This is not an obligation of result, but of means. The authorities must have taken the reasonable steps available to them to secure the evidence concerning the incident, including, inter alia, eyewitness testimony, forensic evidence and, where appropriate, an autopsy which provides a complete and accurate record of injury and an objective analysis of clinical findings, including the cause of death (see, for example, Salman v. Turkey [GC], no. 21986/93, § 106, ECHR 2000-VII; Tanrıkulu v. Turkey [GC], no. 23763/94, § 109, ECHR 1999-IV; and Gül v. Turkey, 22676/93, § 89, 14 December 2000). Any deficiency in the investigation which undermines its ability to establish the cause of death or the person or persons responsible will risk falling foul of this standard (see the recent Northern Irish cases concerning the inability of inquests to compel the security force witnesses directly involved in the use of lethal force, for example McKerr, cited above, § 144, and Hugh Jordan, cited above, § 127). 70. A requirement of promptness and reasonable expedition is implicit in this context (see Yaşa v. Turkey, judgment of 2 September 1998, Reports 1998-VI, pp. 2439-40, §§ 102-04; Çakıcı v. Turkey [GC], no. 23657/94, §§ 80, 87 and 106, ECHR 1999-IV; Tanrıkulu, cited above, § 109; and Mahmut Kaya v. Turkey, no. 22535/93, §§ 106-07, ECHR 2000-III). While there may be obstacles or difficulties which prevent progress in an investigation in a particular situation, a prompt response by the authorities in investigating a use of lethal force may generally be regarded as essential in maintaining public confidence in their adherence to the rule of law and in preventing any appearance of collusion in or tolerance of unlawful acts (see, for example, Hugh Jordan, cited above, §§ 108, 136 40). 71. For the same reasons, there must be a sufficient element of public scrutiny of the investigation or its results to secure accountability in practice as well as in theory. The degree of public scrutiny required may well vary from case to case. In all cases, however, the next-of-kin of the victim must be involved in the procedure to the extent necessary to safeguard his or her legitimate interests (see Güleç, cited above, p. 1733, § 82; Oğur, cited above, § 92; Gül, cited above, § 93; and the recent Northern Irish cases, for example McKerr, cited above, § 148). c) Sir Desmond De Silva’s review was described in the papers as “Cory II”. The only difference was that he was asked to reach conclusions, in circumstances where Judge Cory clearly considered that he could not. The family were not involved, Sir Desmond had no powers to take evidence or compel production of documents and although he took meetings and received “evidence” from individuals it was not sworn evidence and it was not challenged by way of cross-examination. While Sir Desmond did write to Mrs Finucane and was keen to meet her it is clear that she would not have been asked to attend meetings Sir Desmond held with individuals, nor would she have been afforded the opportunity to ask those individuals questions. The review’s limited powers meant that it could not properly and thoroughly test the evidence. His report was published, along with some of the documents he considered. That such a review would not be Article 2 compliant was acknowledged in the briefing paper prepared by Brendan Threlfall of the NIO on 17 May 2011 (Appendix Vol 4, pp1016-1017, para 5). 158. The issues in this case called for the “widest exposure possible” and for the involvement of the family in any investigation. The investigations held to date have not satisfied those requirements. d) The failure to establish a public inquiry into the murder of Patrick Finucane was incompatible with the appellant’s Article 2 ECHR rights and section 6 of the Human Rights Act 1998.